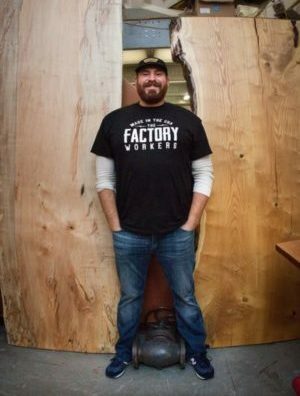 The Factory Workers designs, constructs and sells custom-made gear with 100% American-made materials. The line, which just launched in 2016, includes aprons, bags, tool rolls and t-shirts. It’s an offshoot of The Factory itself, and each piece is assembled at the Cherry Hill location. When you buy something from The Factory Workers’ line, you’re not just buying from us based here in New Jersey; you’re supporting factories throughout the United States.